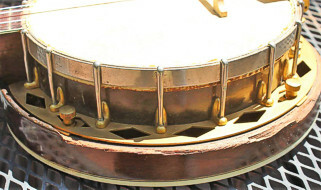 Serial number 8945-23, number on resonator matches that on body. This dates it to 1928. 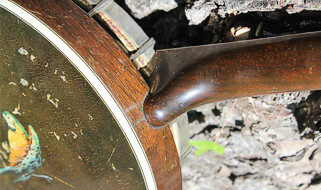 The instrument is in good condition aside from one cosmetic flaw. 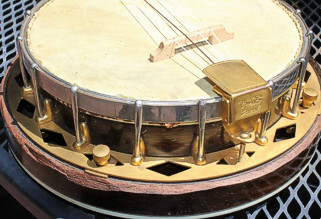 The rim of the resonator is broken off halfway around the instrument to a depth of ½" or so. This does not affect the playability or sound, but is a cosmetic issue when viewed from certain angles. 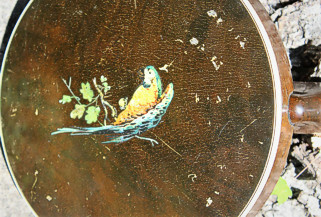 It has a professionally applied decal of a parakeet on the back of the resonator which an appraiser said may or may not be a Gibson factory customization, as such things were not uncommon. It has wear and tear as is expected for a well played instrument of its age, but it is in fine playing shape, and I have played it (tried to!) quite a bit. 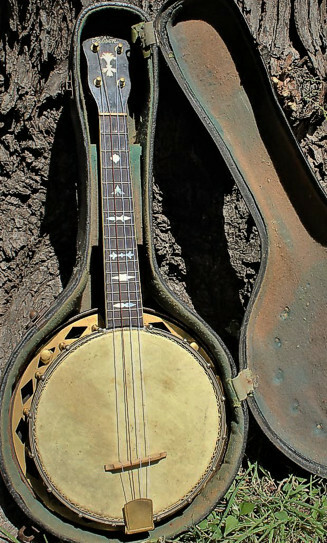 It has what appears to be the original case with it and there is even an ancient crumbly piece of paper in the inner compartment that appears to be directions to a long lost capo.